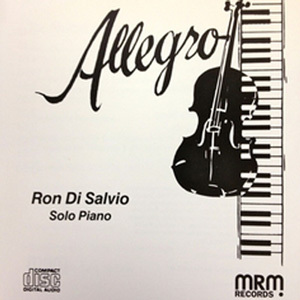 Inspired by his own children’s discovery of the joy and wonder of music, Ron Di Salvio offers these arrangements and improvisations. The selections on this album are found in the beginning repertoire of the Suzuki Violin and Piano Method. Seven of the pieces are of folk song origin. Allegro, Andantino, and Allegretto were composed for the violin by Dr. Shinichi Suzuki. Born in Brooklyn, New York in 1946 he began his musical journey at the age of eleven learning the accordion with Alexander Matos. At sixteen he studied jazz piano with Lennie Tristano. A self taught composer, Ron’s piano trio performed in numerous jazz clubs in New York’s Greenwich Village. He shared the stage with Sonny Rollins, Art Farmer, Joe Henderson, Jimmy Cobb and Enrico Rava.